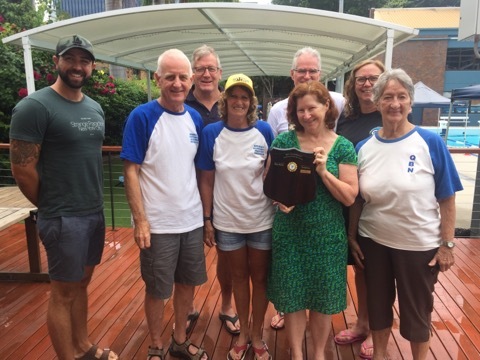 At the recent Brisbane Northside Masters presentations, Tracy Clarkson was presented with her Five Million Metres award. Tracy has also reached a very rare milestone in the Vorgee Endurance 1000 program. She has received the maximum points for all swims, every year for twenty consecutive years! Beginning back in 1999, Tracy has not missed a beat to complete twenty years in a row. Tracy has completed them all, for maximum points, every year since 1999! This is a very rare achievement, with only an elite few having managed 20+ in Masters Swimming Australia history. Congratulations Tracy! Well done also to Richard Sargent, who was presented with his Three Million Metre award. Thank you to Vorgee for providing the prizes. 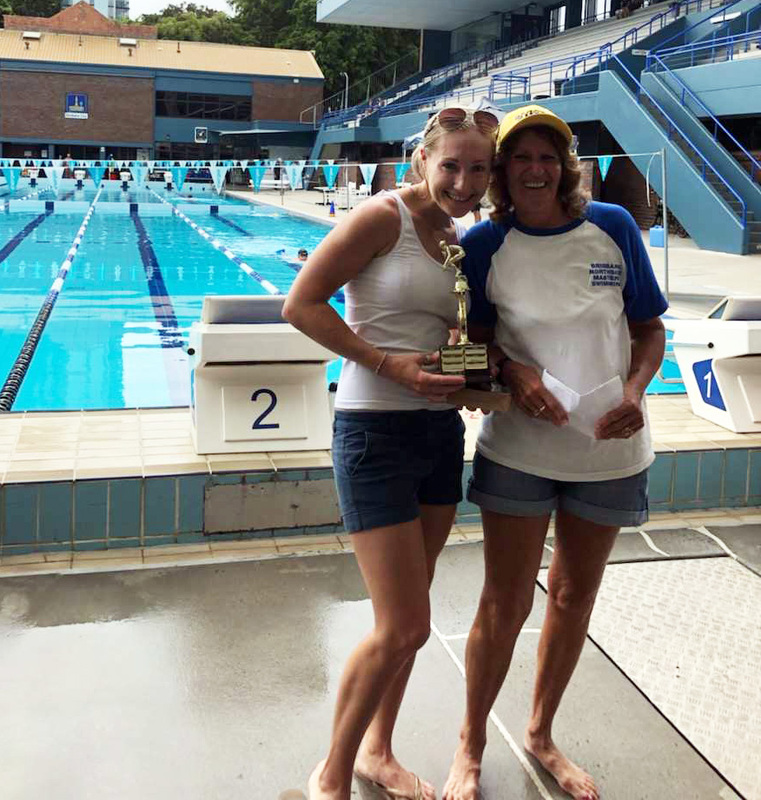 Each year Coach Bev Stubbings selects one of her swimmers to receive her Coach’s Award. 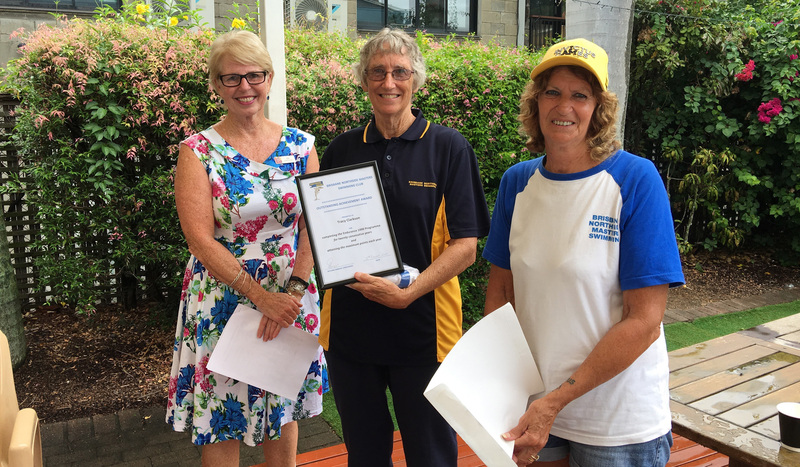 Taryn was the recipient of this award, for her outstanding achievements at the Invictus Games in Sydney in October 2018, where she won one gold and two silver medals. Tracy won the Superfish Award, and won the first place award for the most points received in swim meets. Shirley came third and Ali came second. Richard came third, Brad came first and Tony came second in the male group. The awards go to the swimmers who accumulate the most points from going to swim meets. Tracy won the Superfish Award for 2018. Coach Bev also presents a trophy to encourage swimmers to attend swim meets. There are two teams, and each swimmer encourages their mates to go to swim meets. The points each swimmer gets at the swim meet are totalled, and at the end of the year, the team with the most points wins this trophy. Brad, Richard, Tony, Bev, Sally, Alison, Peter and Shirley are some of the swimmers in the winning team. QBN had an extra eleven swimmers competing compared to the previous year. 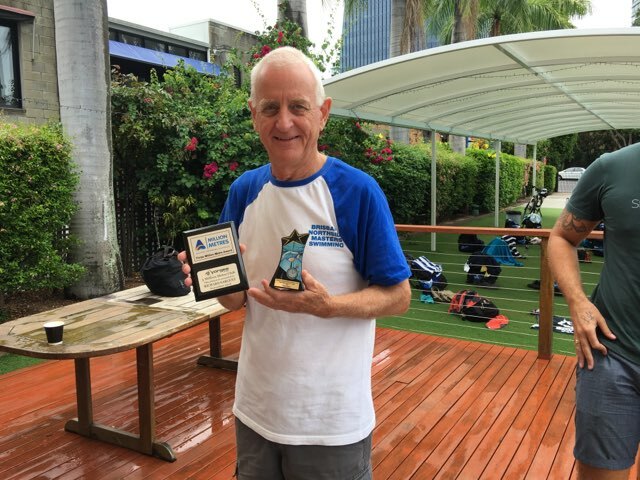 Well done Brisbane Northside Masters! 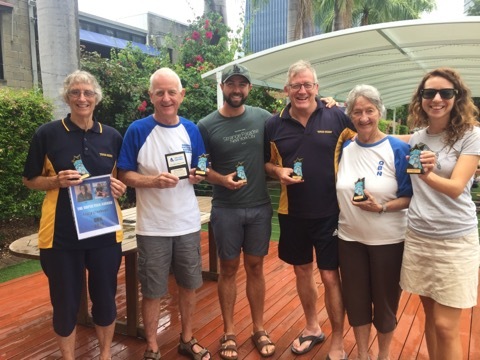 Brad, Richard, Tony, Bev, Sally, Alison, Peter and Shirley are some of the swimmers in the winning team.